One is feeling rather peckish… for brains! 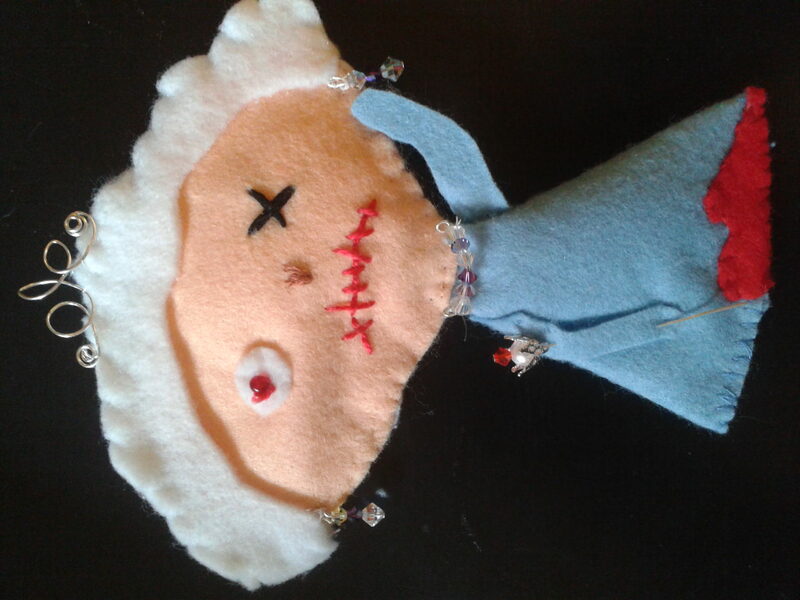 Inspired by the Zombie Felties book. 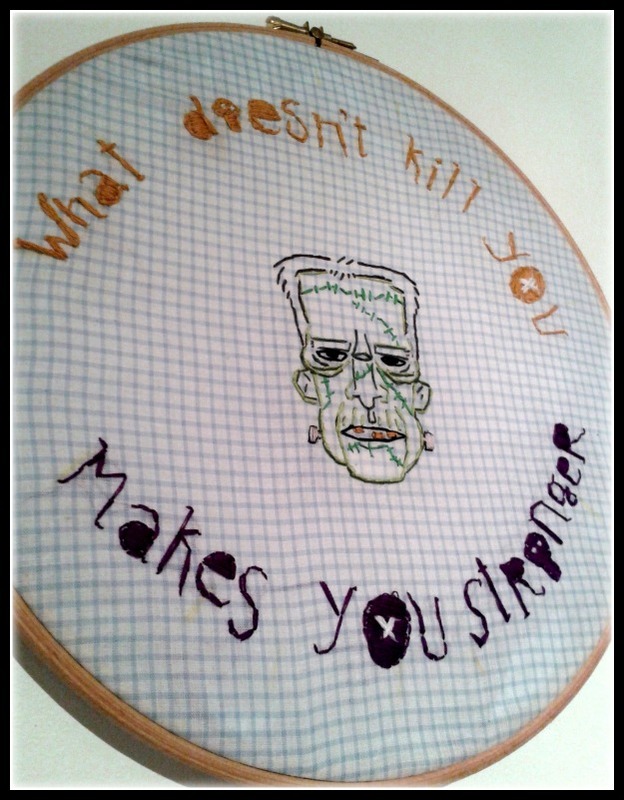 Long have I intended to try my hand at embroidering one of my grandmother’s favourite sayings (and probably your granny’s too, along with everyone else’s grandmother in human history). I re-fell in love with this cliche when Metallica put some riffs behind it and metal-ized it on their Death Magnetic album. I’d post a link to the song ‘Broken Beaten Scarred’ here but no doubt Lars would personally come after me for royalties and I doubt he’d be showing up in a teddy bear costume. At any rate, countless times in my life I’ve heard my granny’s voice saying this and now I hear James Hetfield singing it, giving it a new personal meaning to me. I am indeed broken, beaten and scarred, but damned if I don’t die hard. With that, I’d like to introduce you to Frank. He’s had a rough life but he keeps going. I went along to a friend’s church today to speak briefly on the theme of Satisfaction. Without getting into the subject too much, the whole day was comprised of a hearty breakfast, Zumba workout, lunch, cake, me chatting followed by everyone chatting, an art project, and mojitos. Overall, a satisfactory way to spend a Saturday. 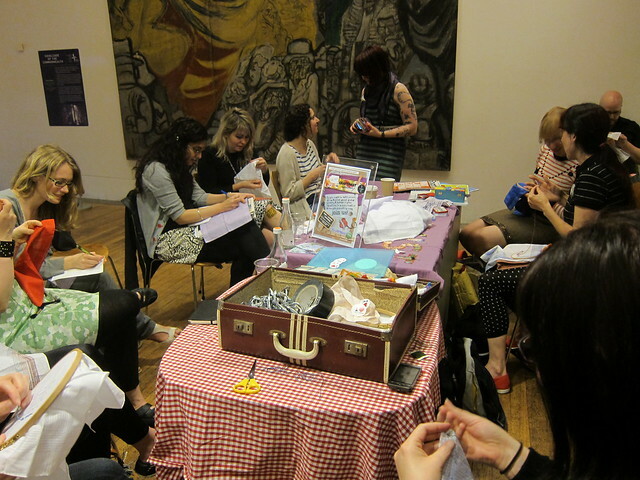 I enjoyed the art thing, as we all did- shredding fashion magazines to put together a collage in the shape of a bird along the theme of satisfaction. Everyone’s birds were amazing. Mine was decidedly a bit different than most, but well when working in collage everything looks a bit weird. I thought it’d make for an interesting blog post. Musical composure, saving the world, tattoos, and a roaring lion. A margarita glass containing the 90’s, rich food, alternative art, and a kitten. Supposed to be working on my chat on Satisfaction for the Gal’s day at Church on the Corner. 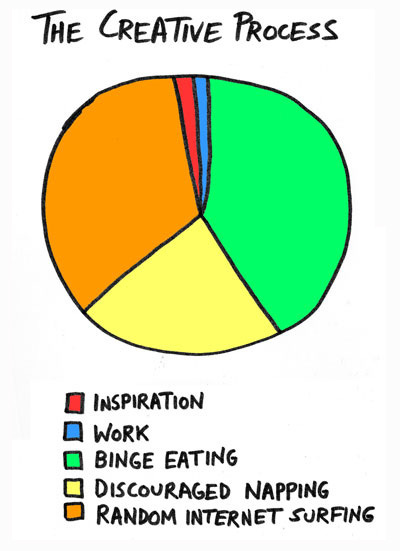 I think perhaps the Binge Eating and Random Internet Surfing should be swapped, but close enough. image sourced from the gigantic worldwide web. It’s floating around… not sure who to credit. So I wake up this morning to a little packet of plastic wrapped papers left on the couch by Rob as he left in a hurry for work. He’s been working at a university and got this packet of flyers on campus. The cover was this cute red and white hibiscus pattern with black squares… I was desperate to find a way of using that paper! I found myself a few hours later reading through a zine we picked up at the London Zine Symposium last month. 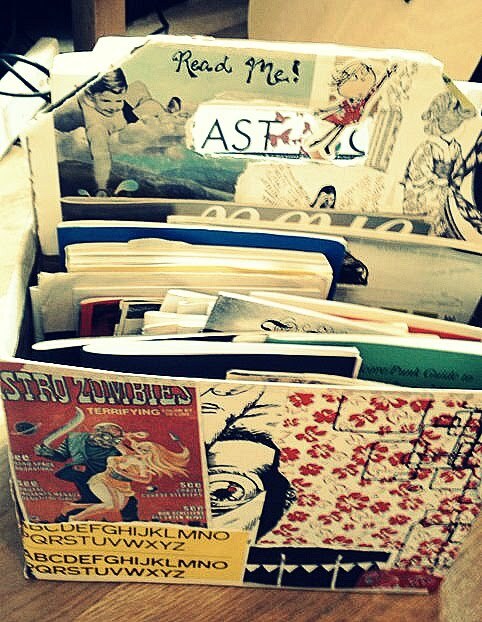 We’ve had a stack of zines from this year and the last just sitting around with no real home… very sad really. We’ve got an extra glass box from IKEA, the free thing you get to carry your glasses home from the store. We already have employed one in holding a lot of lose paperwork as the dividers can be folded down. 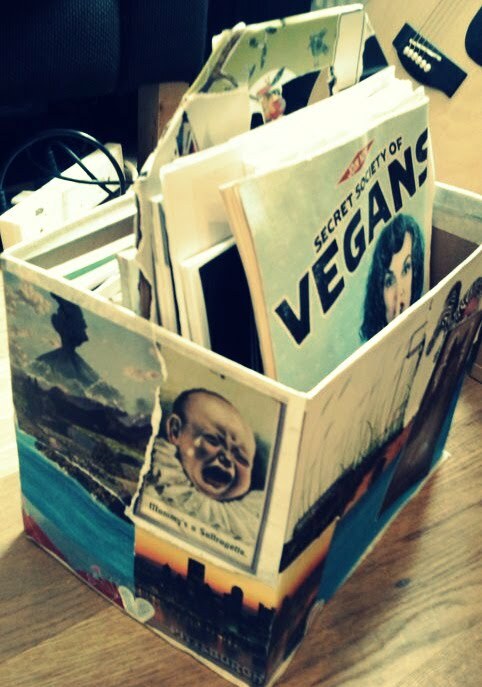 I thought that this just might be transformable into a new zine holder…..
An hour later, paper scraps littering the flat, my fingers glued together, viola- new organisational solution (and you must know that I LOVE those)! FINALLY after months of delay and picking it up and putting it back down, the black jewellery set I’ve been working on for a friend is complete. It was made with beads from old pieces she was tired of plus a couple large beads I bought to revamp the bracelet and necklace. I’m sure she’ll be relieved to finally have some black jewellery to wear! Viola!